The IN3 is located in the “Parc Mediterrani de la Tecnologia”, in Castelldefels (Barcelona). The trip is around 20 minutes from Barcelona Sants station and around 30 minutes from Barcelona Passeig Gràcia station (click image to enlarge). In Passeig de Gràcia station or Sants station you can take either the Castelldefels line (Linea 2) or Sant Vicenç de Calders line (Linea 2 Sud) to Castelldefels. From Estació de Franca station you have to take the Sant Vicenç de Calders line (Linea 2 Sud). This option is highly recommended because the IN3 is only 10 minutes away from the airport. Take Aerobús to Placa Catalunya (Barcelona) or line number 46 (Transports Metropolitans de Barcelona) where you can take the metro (Line 3) to Passeig de Gracia or Sants station. 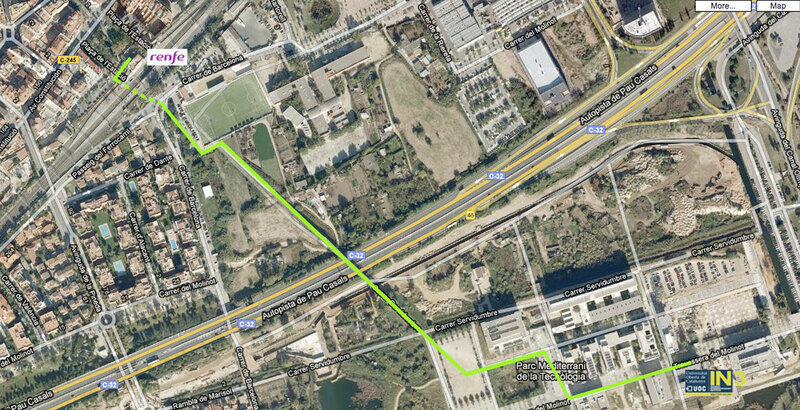 At either Passeig de Gràcia or Sants station, take the Vilanova line or Sant Vicenç de Calders line to Castelldefels. All academic sessions will be held in the IN3 Building in Castelldefels (click image to enlarge). 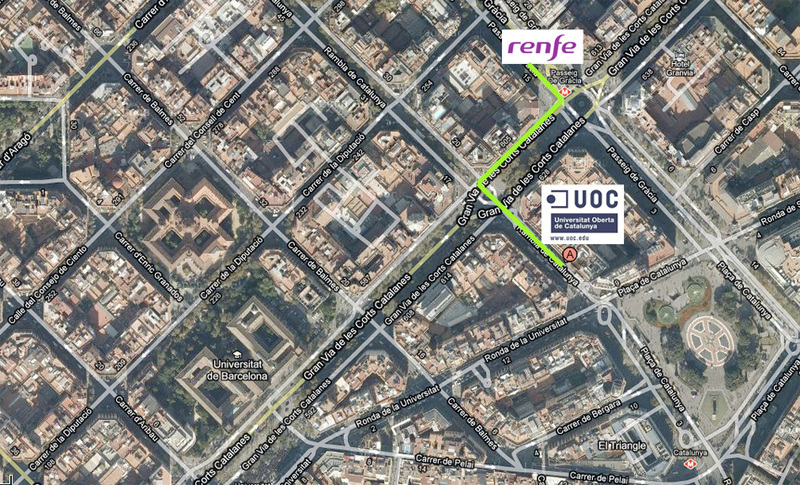 The Welcome Reception will be held at the UOC Building in Rambla de Catalunya, 6, Barcelona. The building is located next to Placa de Catalunya and Passeig De Gràcia (click image to enlarge).